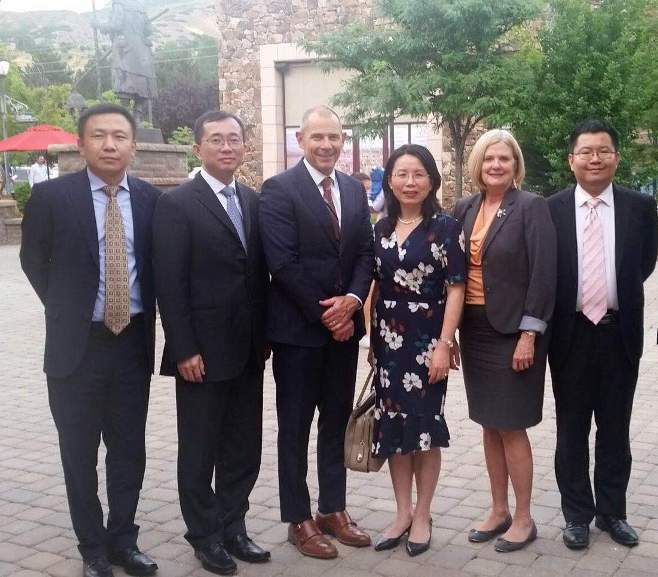 From July 7 to 11, Minister Xu Xueyuan of the Chinese embassy in the U.S. visited the State of Utah as head of a working group. 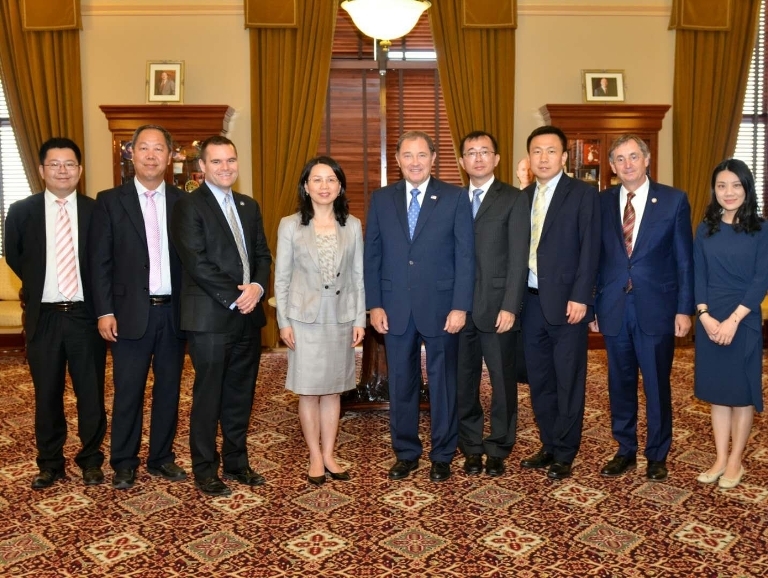 During the visit, she met with Governor Gary Herbert, Congressman John Curtis, the leadership of Utah State Senate and House of Representatives, district directors of members of congress, business communities and local press reporters, and attended the welcoming reception hosted by local overseas Chinese. 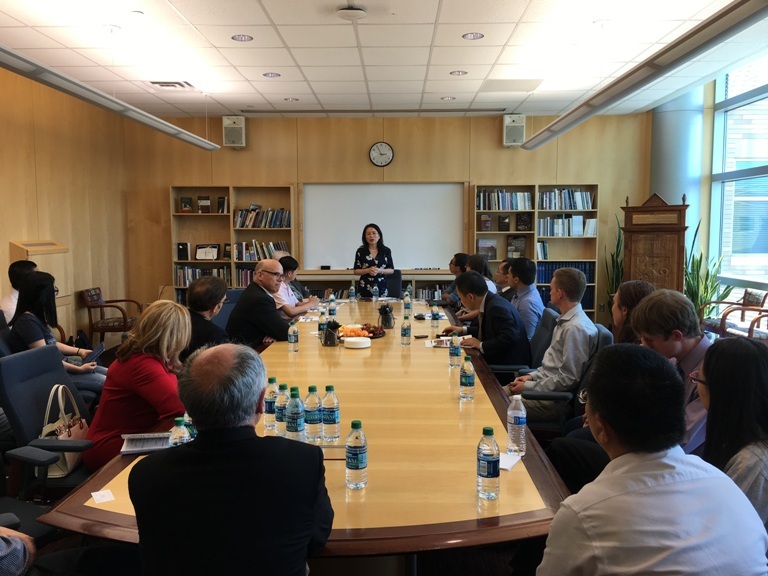 As a part of the visit, she also visited the Utah Chinese Civic Center where she held talks with representatives of local overseas Chinese, and interacted with the faculty staff and students of the Chinese Flagship Center in Brigham Young University. Minister Xu was accompanied by Counselor Qin Zhanpeng during the visit. During the meetings and talks, Minister Xu said that the China-US relationship has made historic progress since the establishment of diplomatic ties almost four decades ago, bringing huge benefits to our two countries and peoples and contributing significantly to world peace, stability and prosperity. History has proven that both countries stand to gain from cooperation and lose from confrontation. This year marks the 40th anniversary of China’s reform and opening-up. China will continue to follow the people-centered development philosophy, uphold the basic state policy of reform and opening-up, build a community with a shared future for mankind, and uphold international multilateral trading rules. China will be firmly committed to building a constructive relationship with the US featuring non-conflict, non-confrontation, mutual respect and win-win cooperation. Minister Xu pointed out that China-US economic and trade relations are mutually beneficial in nature. Waging a trade war on China is detrimental to both the US itself and others, and goes against the will of the people. Confrontation will lead nowhere, and no one will emerge a winner out of the trade war. We hope that the US will take a rational and correct approach to China’s development, meet with China halfway and work with it to enhance mutual trust and cooperation and handle differences properly, with a view to ensuring the sustained, sound and steady development of China-US relations to the greater benefits of our two peoples. Minister Xu said, sub-national cooperation is an increasingly important driving force in China-US relations. 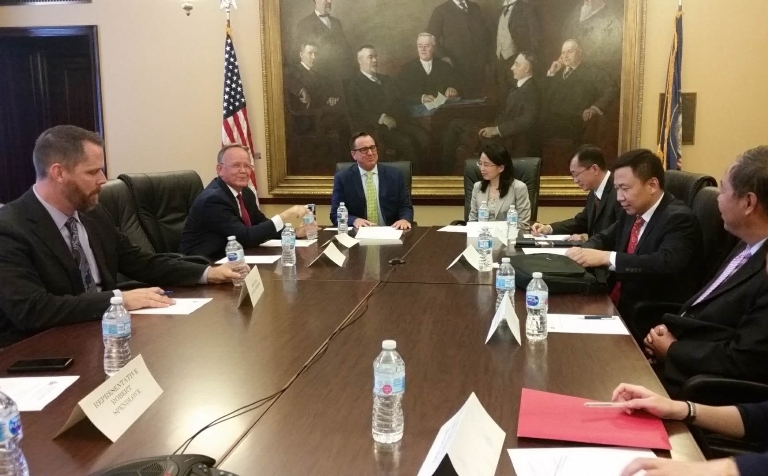 The ties between China and Utah go back a long way, and fruitful outcomes have been achieved from practical cooperation between the two sides in such areas as trade, investment, tourism and the Chinese language teaching. 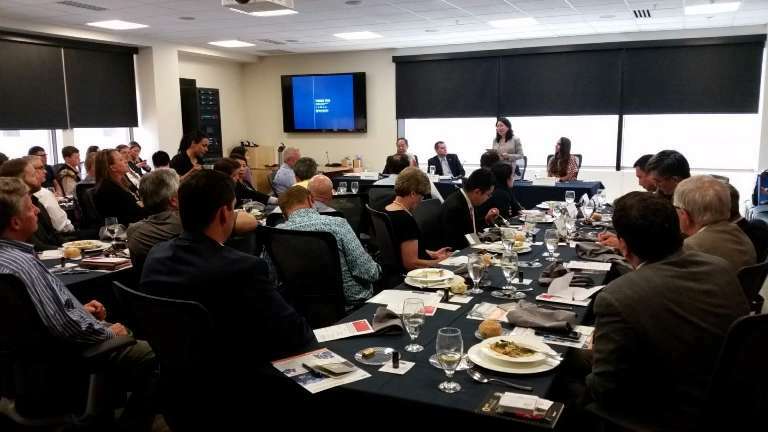 Utah enjoys rich natural resources, favorable business atmosphere and a vast pool of human resources, while China has the largest population and consumer market in the world, which represents huge potential and broad prospects for cooperation. China is ready to work with Utah to achieve more outcomes of win-win cooperation in economy, trade, innovation, tourism, people-to-people exchanges and other areas. 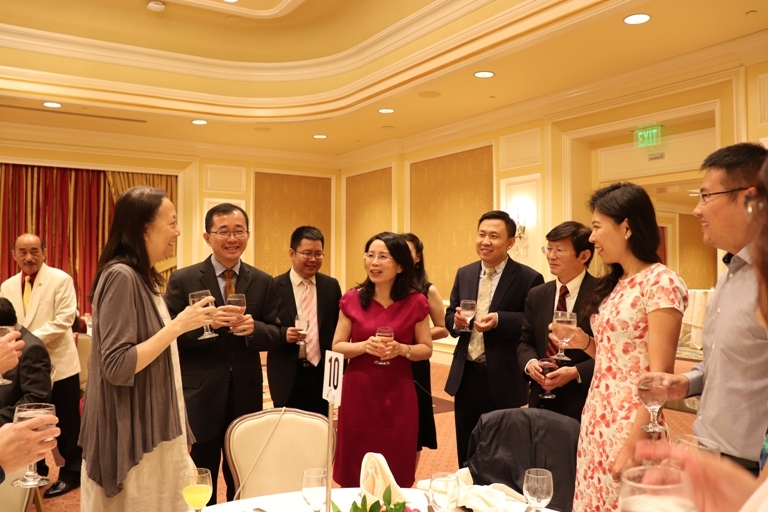 Overseas Chinese in Utah have been actively integrating into local society and getting involved in the affairs of overseas Chinese communities, serving as an important bridge of mutual understanding and cooperation between China and Utah. We hope that local overseas Chinese will carry forward the good traditions, become even more actively involved into local society and work even harder for China-US relations and the solidarity of the overseas Chinese communities. Governor Herbert said that Utah attaches great importance to the relationship with China, and exchanges and cooperation between the two sides have made steady progress over the years. Given the complexity in US-China relations, Utah will fully leverage its advantages, advance practical cooperation with China in a wide range of areas, get through the last three feet, and make Utah’s relations with China a model in sub-national cooperation of our two countries. People from local communities said that they value the traditional friendship with China and hope to see more young people learn the Chinese language and culture, carrying forward Utah’s friendship with the Chinese people. Trade war is not how the problems facing the US and China should be resolved. At the end of the day, the two sides still need to return to the right track of win-win cooperation. Utah will continue to stay open to create new cooperation highlights in bio-pharmaceuticals, research & development, infrastructure construction and exchanges of experience in hosting Winter Olympic Games and it will strive to attract more Chinese tourists to Utah, and inject more positive energy to US-China relations with concrete actions.